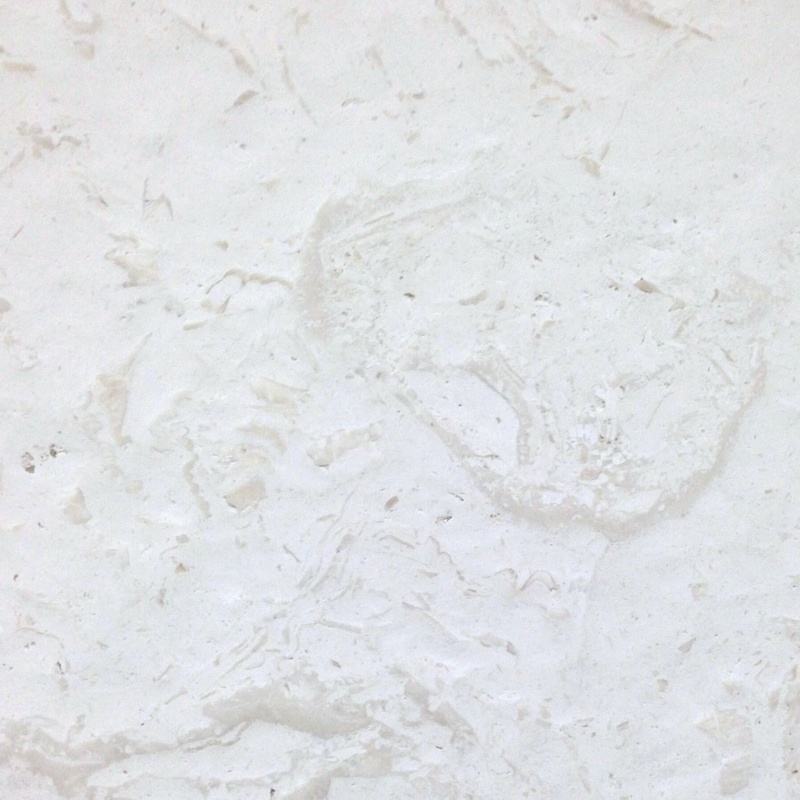 White limestone is a luxurious choice for almost any home improvement project. It’s an elegant addition that’s durable and easy to care for. When it’s time to choose the floors for your home, you may have already looked at wood or ceramic tile, but you may decide that limestone is the best option after you learn more about this impressive stone and the amazing things you can do with it. It’s durable, versatile and useful in several areas. It makes a great first impression, and you’ll love the way it brightens any room and makes it feel larger. Limestone comes from beneath sea floors, around springs or waterfalls, and in high-temperature areas like lagoons. A sedimentary rock, it forms over the years through pressure. Just as a tree’s rings tell a story about the environment, limestone also tells a story about the changes in the nearby environment. The primary ingredient in limestone is the calcium carbonate found in the shells and bones of different sea animals. Like the shells that eventually break down and form limestone, it’s usually white, gray or tan in color. In its purest form, limestone will be a beautiful shade of white. This material was used heavily in ancient civilizations, and it was chosen to build the pyramids in Egypt. It was also mixed with volcanic ash to make a type of concrete in Rome. It’s a beautiful stone that has proven itself to be very durable and versatile. While used in ancient civilizations, it continues to be used in modern architecture. Notable buildings containing limestone include the Empire State Building and the U.S. Holocaust Memorial and Museum in our nation’s capital. Compared to marble and granite, limestone is a softer material. However, it’s also far more durable than many other materials, including carpet, some laminates, and many woods. With a little care and attention, it can last for decades in the average home. Use entry mats at doorways to minimize the dirt that’s tracked in, and put felt pads under furniture legs to prevent scratches. Limestone can also be sealed to further protect it and help it last a lifetime. Cleaning limestone requires nothing more than a soft rag and some warm water. If cleaning solutions are necessary, choose products that are made specifically for natural stones and limestone in particular. Add movement and color variation to your counters with white limestone. A solid slab in the bathroom adds delicate lines for visual appeal and variety. Although called white limestone, it often has shades of tan, beige or ivory running though the material. This gives it a warm appearance that makes a bathroom warm and welcoming. A durable product that’s impervious to water, it’s the ideal solution for any area that’s going to be exposed to water on a regular basis. The ability to clean limestone with a little water ensures that keeping your bathroom looking great will only take a few minutes every day. There are so many exterior cladding options for your home, and limestone is a great option that you may not have considered previously. The white color and soft shades give the home a bright and attractive appearance that stands apart from other homes covered in brick or wood. While you may worry about the cost of cladding a house in any natural stone, it’s important to remember that you’ll never have to install new siding again, and it will drastically boost your curb appeal. You know that limestone looks great on a bathroom floor, but have you considered the benefit of using it in the living room? Limestone is easily cleaned with a broom and mop, so you can say good-bye to the bulky vacuum and steam cleaner. It’s durable enough to last for decades, and that makes it cost-effective. You can still warm up the space with an area rug, or you can leave it bare to help keep the house cool when the weather turns hot. The color works with every design style from traditional to contemporary, so you can change your style as often as you like without worrying about buying a different carpet. When it’s time to put new floors into your dining room, rec room or even bedroom, consider how easy and attractive white limestone would be. The trend in shower walls is on the rise as contractors tile the walls to heights of seven or even eight feet. Make your shower look even more impressive by saying no to the pure white ceramic of the past and yes to the incredible white limestone of today. The slight color and pattern variations will add interest to the shower without introducing dark colors that might detract from your décor. Forged by water, it’s perfectly suited for this application. Honed smooth and then sealed, it’s impervious to water. Choose larger tiles to minimize the grout lines and make cleaning the shower stall easier than ever before. There are countless options for adding limestone to the exterior living areas of your home. Rather than calling for a concrete sidewalk, use large limestone pavers as stepping stones through the garden. Install them close together on a suitable base to become a stunning patio. You can use the limestone as a counter in your outdoor kitchen or to finish a privacy wall near the Jacuzzi. The options are limitless, and you can use the limestone with confidence knowing that it’s well suited to exterior use. If you’re ready to go with limestone flooring, counters or even walls, then you need to work with a company that can provide you with excellent service and great low prices. Here at Nalboor, we’re proud of our wholesale pricing and our meticulous customer service. We’ll work closely with you to ensure that your order will fit your needs, and we strive to get the shipments out quickly. We have high-quality stones to choose from, and our selection includes marble and travertine as well as limestone. Call us today to discuss your upcoming project and see how we can be of service to you.